Canyoning in the Gorges du Verdon! I went canyoning today and it was awesome! I’ve never done anything like it and was kind of scared to jump off the rocks into the water. I wish I could have taken my camera with me, but there was no where to put it! 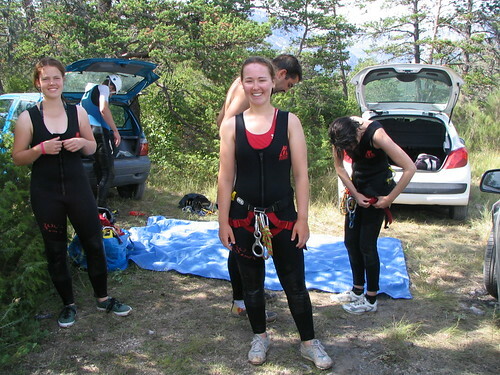 But the craziest thing of all….they didn’t even ask me to sign a waiver or anything! I was more tired after about an hour and a half in the canyon than after a full day of biking. Remind the great jumps you made!! !